Marc founded Strasburg Scooters in 2012 as a way to buy Harley’s and write them off…unfortunately, the IRS doesn’t see it the same way. 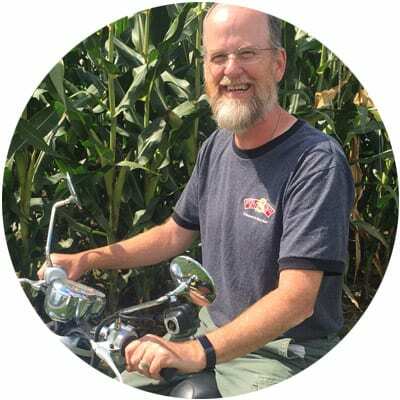 Marc enjoys being creative, which is evident in the creation of Strasburg Scooter’s specialty tours. Marc’s TripAdvisor reviews describe him as funny, personable, patient and safety conscious. Marc treats our guests the same way that he would like to be treated if he was the one taking the tour. Marc enjoys spending time with his wife, the lovely Nikki, riding his motorcycle and making people laugh. You’re always in for a fun and exciting ride when Marc is leading your tour. Safety should be this new tour guides middle name because of her background in EMS. 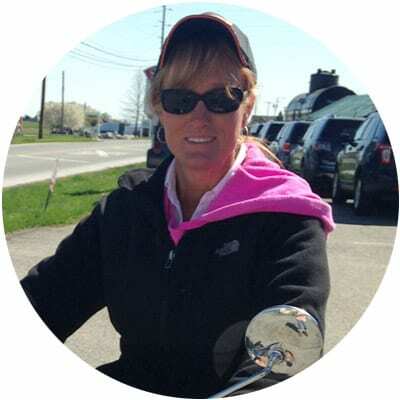 With 25+ years experience as a nationally registered paramedic she knows the importance of being safe while on the roadways. Lights and sirens is the way she likes to go, but don’t fear she never cuts corners. You will love her ability to public speak and witty sense of humor she loves to interact and have fun. She wants to make the most out of your experience and she will be sure to find the best pictures spots for you. So if you are looking for some excitement and some good Amish information come on out and ask for Cookie. 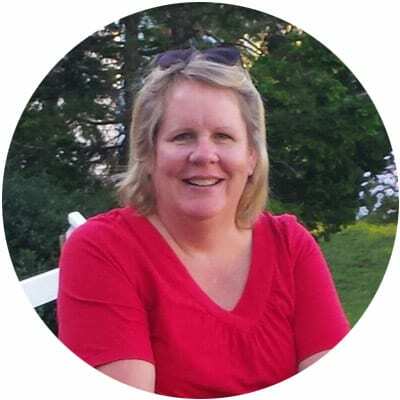 Karen was born and raised in Southern Lancaster County and has spent her entire life right here. She loves showing off the beauty of her birthplace. Her enthusiasm and love for Lancaster County will make you fall in love with it, too. She grew up riding dirt bikes and 3-wheelers so she naturally loves to ride scooter. She’ll make your tour so much fun that you’ll vow you will want to buy one when you get home. Join her for a tour and be sure to ask about the Solanco Golden Mules, she’ll be happy to tell you all about them! 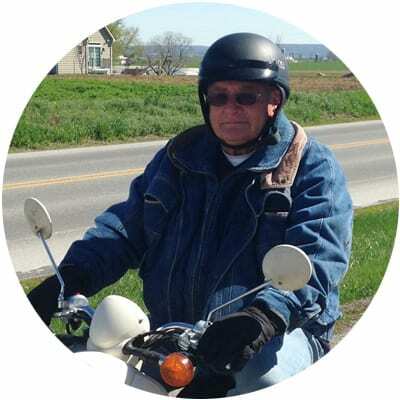 Now in his second year with Strasburg Scooters, Ross is a retired vet who likes to take in the sites. He is slow and steady so you will be sure to see all the beautiful sites Lancaster has to offer.He spent 30 years in the education system and is a history buff at heart so you are guaranteed to learn about the Amish and their habits. Ross is a happy go lucky person and fun to talk to, so come on out and take a tour with him. Brian is a proud resident of Willow Street, and has been happy to give to the community as a volunteer fire fighter, and former leader of BLS Ambulance, the Emergency Services are near and dear to his heart. When not working as GM for a local Stainless Steel Hardware Manufacturer, Brian umpires High School Girls Softball and Little Baseball, and belongs to several community service clubs and fraternal organizations. His favorite hobby is that of American Civil War Living Historian, and he’s Captain of a reenacting group which portray a Local Civil War unit the 30th PA Company E of the PVRC recruited from the Southern Lancaster Co area. He has a talkative streak laced with a unique sense of humor which helps to strike up conversations with most anyone, and if you hit upon the subject of history – can lead to a marathon gabfest. Andy has spent his entire life here in Lancaster County so don’t make fun of his dutchy accent, he can’t help it. Andy’s family owned a local dairy farm and years ago his grandparents delivered milk by horse and wagon. Andy’s first career was with “Charles Chips” the local potato chip company. He then began a new life in park and recreation working with many municipal and private park and recreation centers. This guy has years of experience making sure people have fun in a safe environment! He’s an outdoor enthusiast and enjoys many sports. 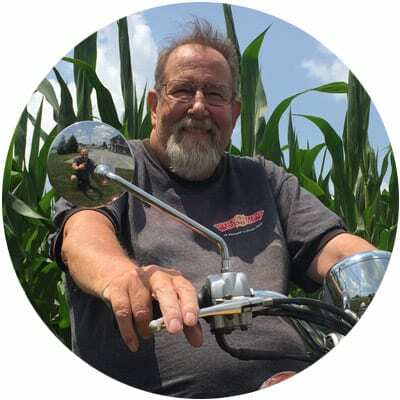 Andy loves to ride his motorcycle and his passion is “Sport Touring”. 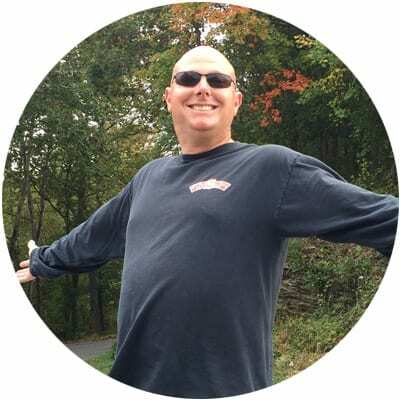 If you have a couple hours just ask him about it……Andy’s retired, lives in Millersville and has an adult son and daughter, two grandkids with a third on the way and a kitty named “Nally”.